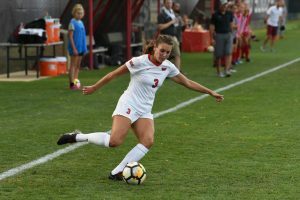 Senior Kiley Czerwinski is in the process of putting a bow on a Redbird women’s soccer career full of success and adversity. The next challenge is taking lessons learned as a student-athlete into her career as a special educator. During her college search, Czerwinski had a good idea of the career path she wanted to pursue. She developed a passion for special education while working with special needs children at soccer camps. The Naperville native was also looking to play on a top Division I soccer program. When it came time to pick a school that filled both needs, the choice became obvious. 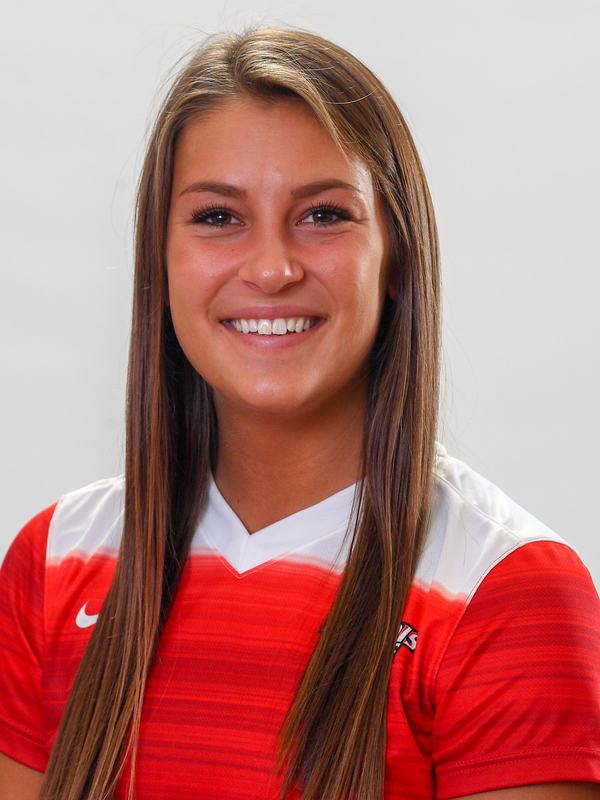 Czerwinski came to Illinois State because it was the best place for her athletic and academic pursuits. When she visited campus that fall, any lingering doubts she may have had quickly dissipated. 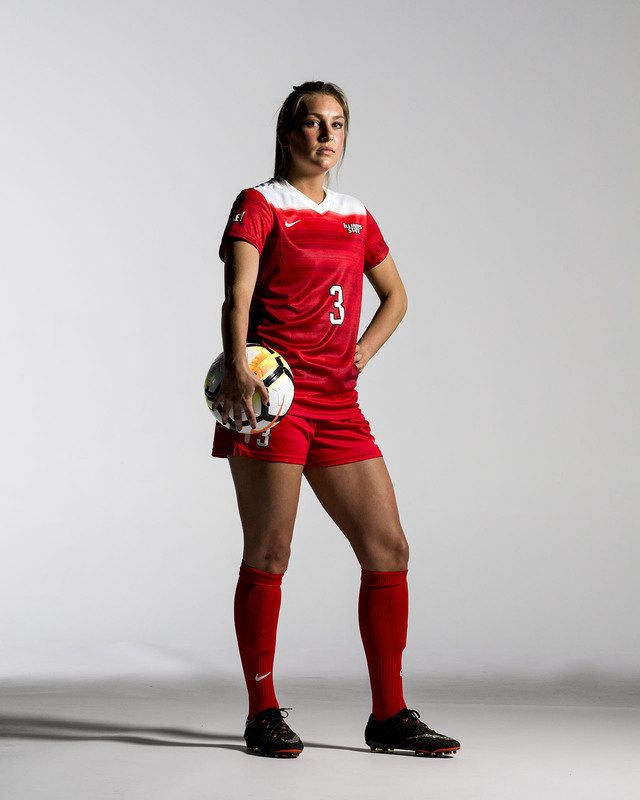 Czerwinski was able to contribute to the Women’s Soccer program quickly. In her freshman year, she bounced around the field, playing different positions to fill in team needs and to best figure out what her permanent role should be. In her sophomore year, she was the established starter in the outside midfield and played all 23 matches for the eventual Missouri Valley Conference champions. That championship season was full of highlights for her as an individual player and as a member of a winning team. Coming back from a one-goal deficit to beat Evansville in the regular season championship is one of her fondest memories. In the Missouri Valley tournament championship game, Evansville once again had a one-goal lead and the Redbirds were able to come back and beat them 2-1 to secure the conference championship. Next, they played Big Ten power Michigan in the first round of the NCAA tournament. “Out of every game, out of every experience I had with soccer, that was my favorite game,” she said. Czerwinski says her greatest strength as a soccer player is being able to beat her defender in one-on-one matchups and set her teammates up for success. Once again, the Redbirds found themselves having to climb back from a one-goal deficit. The Redbirds scored two goals, but Michigan was able to tie it up, sending the game to penalty kicks. All five Redbirds who shot found the back of the net, with Czerwinski making the final kick to secure the win. If her sophomore season was the height of her career as a student-athlete, her junior year was one marred by injury. Czerwinski suffered a quadriceps tear early on which cost her the majority of the season. Czerwinski was able to rehabilitate her injury without the need of surgery and reclaim her starting role on the team for her senior year. The season is still young, but Czerwinski believes the team’s chemistry is strong and they have the potential to do great things. Czerwinski is ready to begin her career in special education and apply the lessons she learned on the field to the classroom. Off the field, Czerwinski is continuing her studies as a special education major. It can be difficult balancing academic responsibilities with those as a Redbird athlete. Czerwinski’s advice to young student-athletes to satisfy these opposing needs is to keep lines of communication open with coaches and professors. After graduation, Czerwinski is planning to work as a special educator and potentially become a soccer coach. She also has an interest in helping children who want to compete in the Special Olympics. Before that day comes, Czerwinski wants to be sure to savor every moment she has left as an undergraduate Redbird. Looking back, the Redbird community is what has made her four years at Illinois State special.